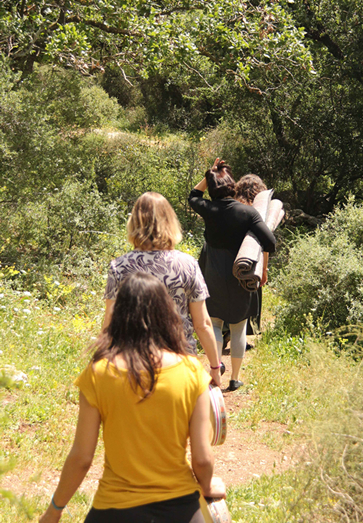 If you’re a female professional, entrepreneur, healer, or simply ready to live your truth and share your gifts with the world, then join Eliana Gilad for an immersive women’s wisdom leadership retreat in Ancient Israel! Descending 300 stairs into the belly of the earth, then winding through a narrow tunnel reminiscent of a birth canal, you emerge to join the rest of your friends around an ancient well. In this still, silent womb of the earth, in the company of some of the wisest women of all time, you have come to reconnect with the ancient source of your feminine power. Transported by the sound, transformed through it, you release the bonds of past beliefs, traumas and limitations and open to the truth of your deepest being… A few minutes later, feeling clear, confident, and courageous, you’re completely relaxed and comfortable, grounded in your power, ready to move forward in your life. How would it feel to drop your defensive demeanor and BE your authentic self at work and play? 100% possible! Imagine your daily crammed lifestyle evolving into an expansive one where you achieve more by doing LESS! Hear your inner truth, speak up and be heard! Be nourished by the support of women at the tipping point of female leadership, just like you. You truly belong! Now is the time to attune to your authentic voice, embrace your femininity, live and lead in creative flow! Sound good? B’VAH-DAHYIE! (Hebrew: “ABSOLUTELY!”). Then listen up… you’re going to LOVE this! Over 9 replenishing and restorative nights and 10 days we’ll be reawakening the power of your feminine authority through ancient wisdom leadership and sound healing techniques. Going through massive change, uncertain what’s next for you? Exhausted and depleted from trying to figure it all out alone? Tackling with the Imposter Syndrome: unable to truly internalize your accomplishments? Still not voicing your feminine power even after a TON of healing and spiritual work? Sweetheart, isn’t it time to give your mind, body and soul a REST!?!? Crystal Clarity about your direction in life, so you can experience joy and abundance at work, in your business (if you’re an entrepreneur) and play in creative flow. Connection to your own well of wisdom that guides your ability to make decisions from a place of YOUR deep inner knowing. Confidence, standing solidly in your feminine power, and inspiring others to action by your authentic expression. Courage to remain deeply calm, even amidst chaos in a way that makes a true difference in the world. Your feminine power lies just beyond your cognitive mind. When you surrender to that power, the answers can flow right to you with effortless ease. Your well gets replenished and you are rejuvenated with boundless energy to move ahead towards your own personal promised land – peaceful and joyful, completely authentic, making a difference in the world. To join a group of courageous pioneers making a difference for the health and well-being of feminine leaders today! We’ll be experiencing all this and ALOT more! You will not be alone. You’ll go from becoming to belonging. You’ll receive the support from a sisterhood of other powerful women moving in a similar direction to live and work in feminine flow. You’ll discover the remnants of this ancient feminine leadership way being expressed today in Israel. Imagine being uplifted, enchanted and inspired by wise women of all faiths, and religions. There’s no dogma, religion or right or wrong way to be. Your first-hand experience will prove to you, without a doubt, that you can live a joy filled abundant life, NO MATTER WHAT is going on around you. Best thing is, you’ll return home with your personal feminine power map in hand – ready to charter your next steps forward, in creative flow, on your journey, to your own personal promised land! Plus, we’ll be instruments of reviving this feminine power together, through the healing sounds in the mystical sites of Ancient Israel. We’ll delight in a banquet of delicious, delicate, healthy local cuisine as we break bread with native leaders of past and present. Reserve my seat on the Magic Carpet NOW! Thousands of years ago, in pre-biblical times, leaders would go to temples and avail themselves of sound and rhythm that would bypass their intellect and connect them with their higher mind. Music was used as healing, transformation, engineering and leadership tools. Structures were designed using sound, for these purposes. A feminine leadership and healing music tradition was taught in mystery schools to pass on this power and spiritual transformation. While it became lost and forgotten, this ancient wisdom way is being revived today. 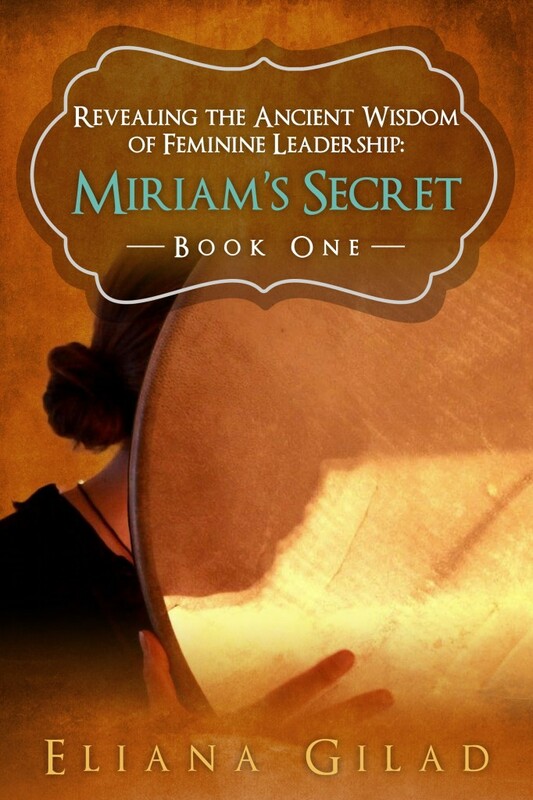 Miriam’s Secret – Revealing the Ancient Wisdom of Feminine Leadership, authored by TEDx presenter and healing sound pioneer Eliana Gilad, reawakens and reconnects its feminine power for our well-being today. 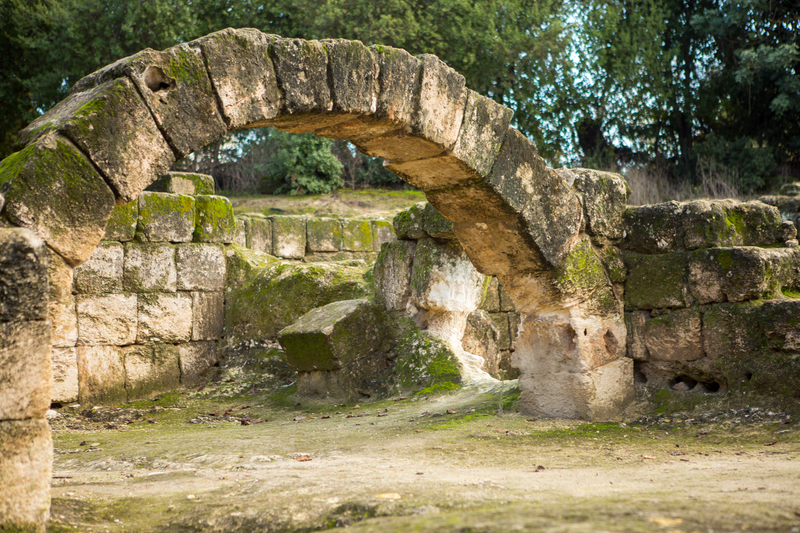 Miriam, was a prophet, spiritual leader, and a creative healing artist. She prophesied the birth of her brother Moses. She also composed and sang the oldest song in the Bible. There is legend of the Well of Miriam, which “gave forth water whenever a woman sang to it with the proper heart-song”. Water from Miriam’s well could heal the sick and restore hope to the broken hearted. In the wilderness, the mystical well-traveled with the Hebrews. When they camped, it provided them nourishment, wisdom and clarity for divine direction. After Miriam died, some said the well disappeared, though our journey will follow the wells of Miriam for you to be nourished, nurtured and replenished by your feminine power. Now is your opportunity to connect with this lineage, through the guidance of Eliana Gilad, a direct descendant of the leadership lineage of the prophetess Miriam. It’s time to connect to your roots and attune to your inner wisdom to guide you to your personal promised land. Galilee is one of the “power chakras” on the planet where feminine energy is accessible and directly experienced in the belly of the earth. It echoes within your body. This feminine voice, beyond religion, dogma, politics or any belief system, is asking to be heard and expressed individually and through our collective wisdom today. Whether you are already comfortable with your feminine power and thirsty to gather around the well with other feminine leaders, or you’re new to the visceral flow of life, what you’ll discover in Israel will empower and inspire you. Gotta speak Hebrew or be Jewish to attend? I mentioned above, this ancient feminine lineage is beyond religion, dogma, politics or any belief system. It’s origins are timeless, rooted in the unity of ALL. You can come from any tradition, practice, or religion. You’re in for a big surprise! Hebrew is a spiritual language focused upon the right hemisphere of the brain. It embodies sound properties and powers that go w-a-y beyond the cognitive mind. Having been born into the Levite tribe, I’ve been imbibing the spiritual, musical and healing essence of this language since I was a small child. So, there’s no need to know the language. Yet, if you’re interested, I’ll be happy to share it’s healing and magical powers with you. Mystic Feminine Israel. Experience the sacred essence of this holy land, and meet my inspirational friends and colleagues, Jew, Christian and Muslim, living in creative feminine flow. These are women with whom I’ve lived and worked for over 20 years. Beyond politics, religion (even if they practice one) and dogma, this ancient spiritual epicenter feels amazingly contemporary and fresh. Enjoy the biblical landscapes, as the wells of Miriam and Magdalene replenish through the echoes of their sacred feminine power. Open stretches of desert, juxtaposed with beaches stretching along the Mediterranean shore, fill you with inner calm. 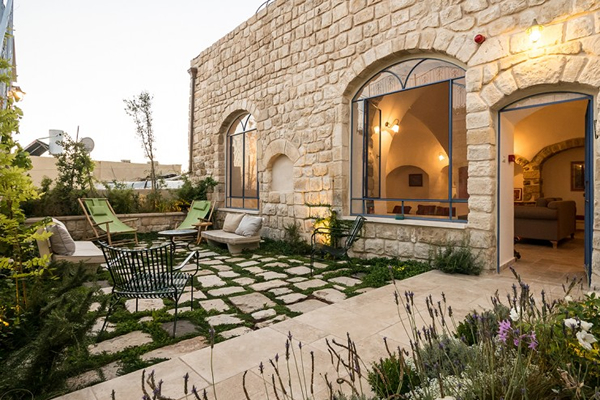 Nestled in the hills of Jerusalem, we’ll open our retreat at the Sisters of Sion Monastery where resting in the simple and sacredly serene rooms amongst quiet gardens to roam, and beautiful views everywhere you look, you’ll imagine how life might have been like in the biblical days. You’ll find peace and quiet – to reflect, think, and be at ease with yourself and others. 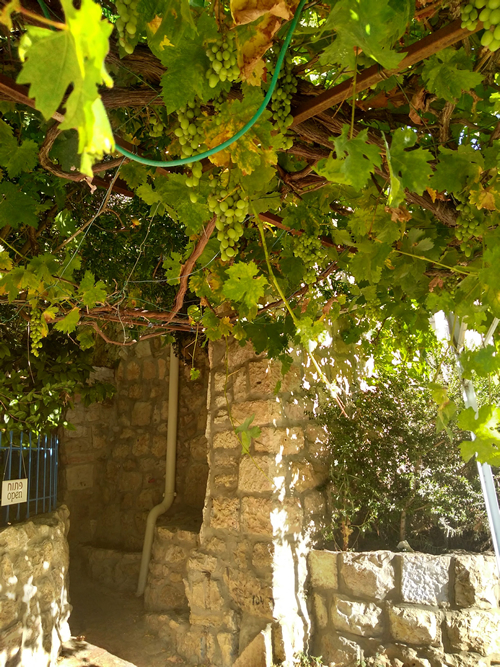 Ein Karem is very special neighborhood in Jerusalem, important for Jews, Christians and Muslims. This unique sanctuary is devoted to the unity of all peoples, no matter their heritage or religion. After a healing float on (not “in”) the Dead Sea, we’ll caravan passed the wells of the prophetess Miriam and Magdalene to the mystic world of Safed, in upper Galilee, birthplace of Kabbalah and Shekinah – the Divine Feminine. Tucked away between the intertwining allies of the city’s old artist quarter lies our refurbished centuries old stone boutique inn. 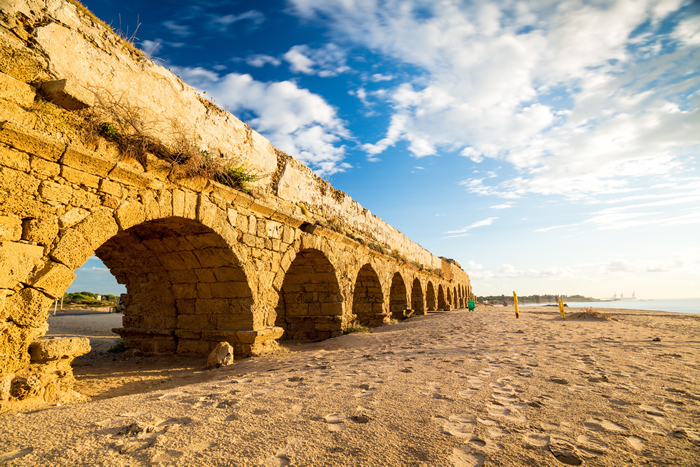 To culminate our journey… We’ll sojourn within the Old City walls of Acco, an ancient port city where the annual Acco Theatre Festival is held. We’ll be staying in a unique Ottoman Empire Stone boutique inn. This is a one of a kind building and the rooms are unlike anything you have ever experienced before. At Arabesque, owners Evan and Micha Fallenburg says: “We made a decision to remain, always, a part of the neighborhood that surrounds us and not a separate entity”. 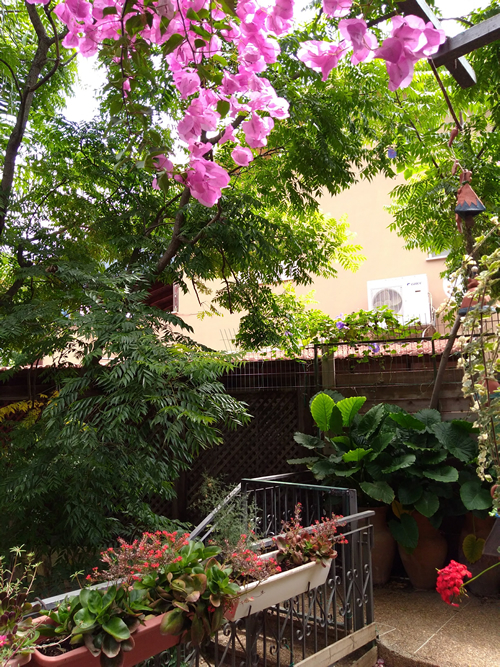 That means that while our elegant rooms will make you feel a world away, when you enjoy the courtyard garden outside your room you will also enjoy the scents of our neighbors’ cooking, their laundry hanging above you, and the sounds of their children laughing (or squabbling) around you. We love this aspect of Arabesque and hope you will, too. We’ll end with a communal farewell feast to celebrate the magic of our journey, crowned with the empowered jewel of your inspired, open heart. Fresh heavenly, hand-made stuffed grape-leaves, hand picked off the vine, savory middle eastern salads, tagines, fresh baked bread and delectable desserts might just make you never want to leave. THE CUISINE – MANNA FROM HEAVEN! Myrrh and frankincense, fresh cinnamon and clover, the essence of fresh persimmon and olive oil. These names evoke ancient scents of mysterious beauties, princesses in ancient palaces and sensuous desert maidens. Women knew how to arouse passions with the natural substances found around them. You’ll be tasting a variety of these titillating scents. Your entire being will rejoice with sumptuous healthy gourmet delights. Israeli cuisine is a naturally fresh, Mediterranean based diet. You will be roused each morning through the Israeli breakfast feast – an adventure in flavor, texture, and spice, fit for a queen. Like the people themselves, Israelis’ breakfast foods are bold, with assertively tangy flavors, and comprise the freshest ingredients. Fresh squeezed fruit juices, labane (a thick yogurt-based cheese), a spread of other cheeses, eggs, dates, olives, and piping hot pita seasoned with hyssop, baked pastries and much more await your palate. Oriental tables laden with delicacies served in small oriental bowls filled with colorful salads… thick tehina, fried eggplant with mint and the traditional vegetable matbukha will rejuvenate your health without adding to your waistline. Jugs filled with cool fresh picked mint lemonade quench your thirst. In the West, plans are made, and expected to be followed through upon. In Israel, plans are made as a jumping off point…they get changed all the time, as life happens in the present moment. This GIFT of ancient feminine culture, still practiced today… is a productive, practical skill for thriving in the dynamism of today’s uncertain times. If you’d like to thriving in feminine flow, both personally and professionally…you’ll LOVE this program. Its intent is to share the ancient feminine wisdom way by LEADING FROM ITS GUIDANCE IN REAL TIME. Therefore, an exact schedule of each day, and the spiritual teachings are intentionally left out to allow for us to attune to creative flow. The power of this program is the group empowering each other, with each one receiving support for BEING who she is, in real time. This entire journey is your opportunity to let go of rigid planning and the need to know, and to open up to the deeper wisdom of your heart that is always attuned to the magic of the present moment. Revival of the ancient feminine healing sites… ancient voices beckon us to respond to their call. Give honor to Prophetess Miriam’s well (Moses’ sister) at the shores of Galilee and Magdalene’s well in Migdal. Magnetically merge with the healing voices of the sacred feminine sites at Bet Shearim and Tel Megiddo. 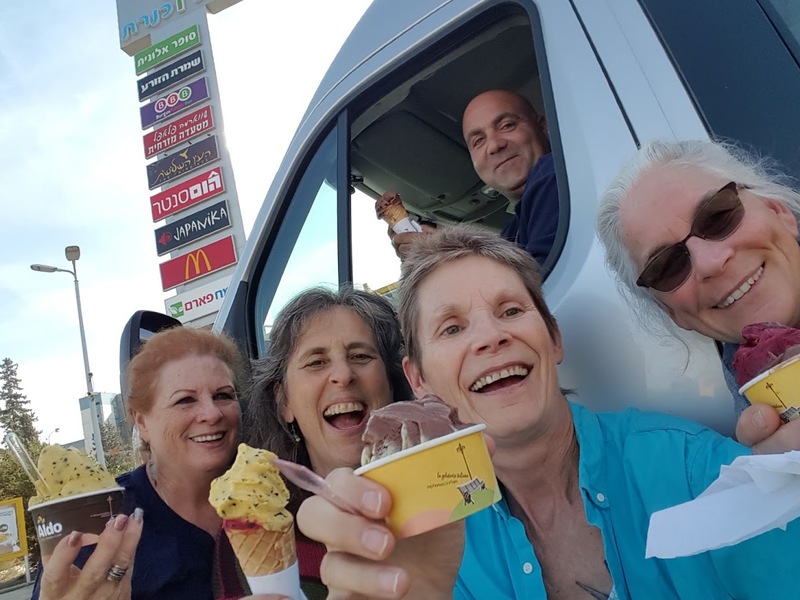 Discover the magic of “L’stalbet” (the deliciously relaxing art of “doing nothing”) while enjoying passion and exuberant discussions with new friends. Meander in the local markets. Connect to the ancient source of feminine power in the belly of the earth at the ancient well of Megiddo. 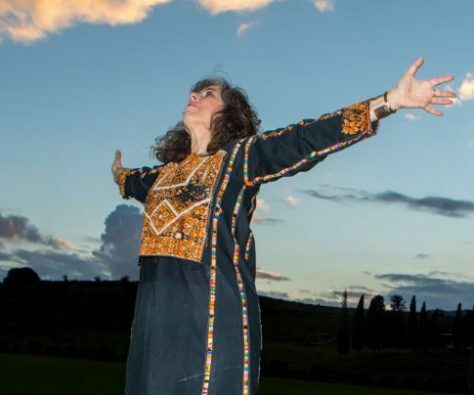 Experience the Shekhina and Kabbalah as embodiment of our feminine power in Safed. Participate in Miriam’s drum initiation ceremony. Share the feminine wisdom of our expert guide. Savta Gamila Hiar is 76 years old, a widow with five children, 15 grandchildren and five great-grandchildren. 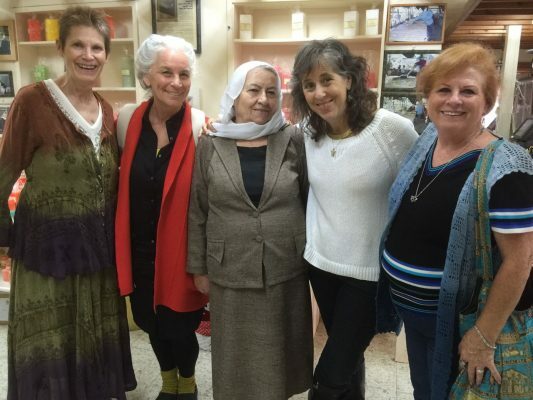 Her medicinal soap sells in 40 countries and employs only women – Muslim, Jewish, Christian and Druze…a living example of peaceful co-existence. Gita BarEl, who with her husband, gourmet chef Ronny, converted their 250 year old stone home into an inn-chanting retreat. They crafted the structure by hand, practicing the principles of Kabbalah, the mystic Jewish practice of feminine divinity. 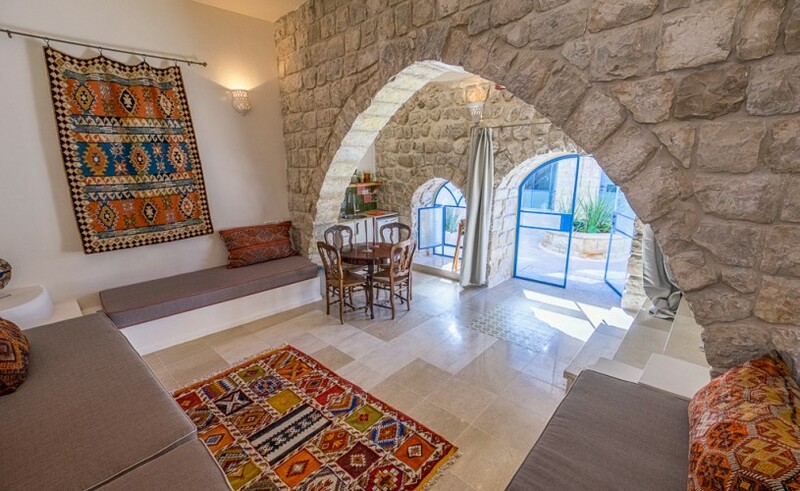 Their inn has served as a center for local Jewish, Christian, Druze and Moslem women’s meetings. Meandering down the smooth cobblestone path, you arrive to the well. Your fingers ripple through the gentle flow, dousing drops of the fresh spring water onto your face. Rest, replenishment, rejuvenation…exactly what your inner being craves to experience in daily life. At the core of your being, you know it’s time to connect to the Source of your true power, time for quantum-leap change. But how do you connect to it when you’re responsible for others who depend and count upon you being as you are now. Changing feels tantamount to suicide. Yet inside you feel disconnected, depleted and alone. How do you move beyond this stuckness, guilt and the silent critical voices whispering (aloud) in your ears. How do you dare live with flow in today’s crazy world? Fear not my dear! The ancient wisdom of feminine leaders, such as the Prophetess Miriam, will guide us to come together to share deeply and authentically. Ancient women gathered as a way of life. Feminine leaders are being called to revive this way today. We will visit the old city of Jerusalem and welcome in the Sabbath bride. Sabbath eve is a time of rest. You’ll have free time to taste the local delights, roam the old city streets. 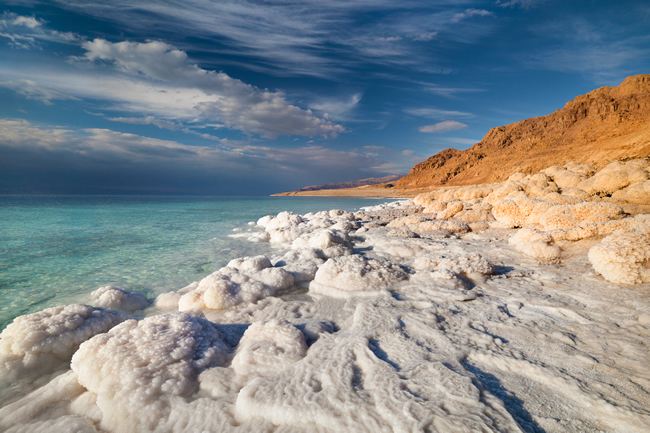 We’ll descend to the lowest place on earth — for you to release your limited thoughts as you float upon the healing waters of the Dead Sea. Calling on ancient feminine healing sound and wisdom leadership traditions passed down for generations in pre-biblical near east, you’ll wash away jealousy, judgment and fear, release limitation with a live healing music meditation in the monastery chapel, while experiencing the safety to be seen and heard as YOU. You’ll discover, step-by-step, how to live in flow, leading and expressing your connected authentic voice at home. When women gather for a deeper purpose, a powerful sense of satisfaction is experienced by all. This feminine force is unstoppable! 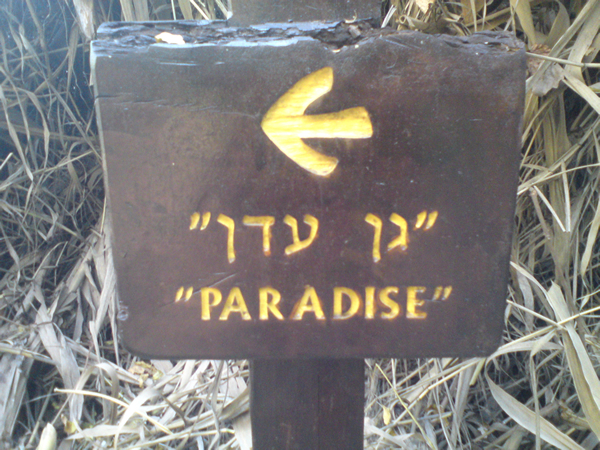 Enjoy the biblical landscapes, as you enter your personal promised land, along the Shores of Galilee. 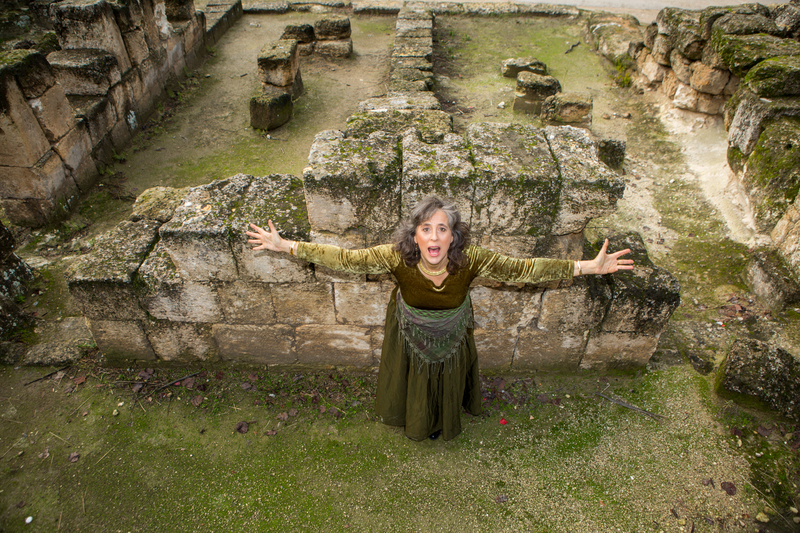 Your old self-doubt will be transformed to self-acceptance at the newly excavated synagogue of Magdalene. 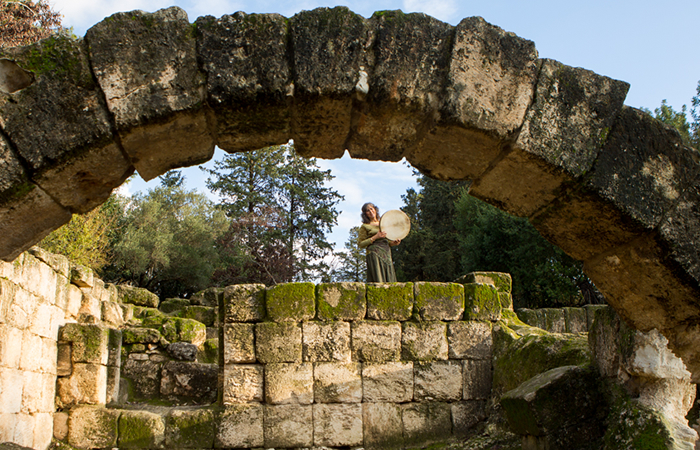 We’ll experience an Ancient Hebrew Sound Ritual at the mythic well in her home of Migdal. We will ascend to the mystical city of Safed – home to Kabbalah and Shekhinah, where the Divine Feminine power leads to our highest good. Mysticism, music, art, delectable food and history, all packed into one little town perched high atop of a mountain overlooking the Sea of Galilee. We’ll meet courageous leader, Gita BarEl who transformed her home into a meeting place and peaceful retreat center. You’ll be empowered and inspired by her story and be uplifted by new friends living in feminine flow whom you’ll meet in a local gathering. 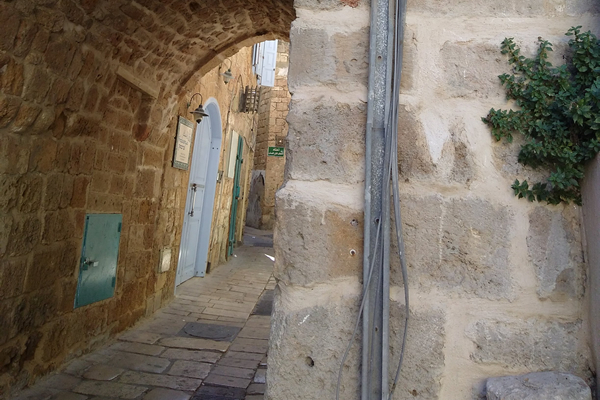 Meander the narrow alleyways of Safed – or Tsfat in Hebrew – where many houses are painted blue, to reflect the closeness of the heavenly sky, and the divine feminine. Safed is the center of mystic Kabbalah, which has unfolded from ancient times until today. Visit the Artist’s Quarter for glimpses of beautiful old stone houses – and galleries in the artists homes. Cute little restaurants dot the picturesque alleys. Visit the Safed Candle Factory, in the Old City where sacred artwork in wax reaches unbelievable heights. 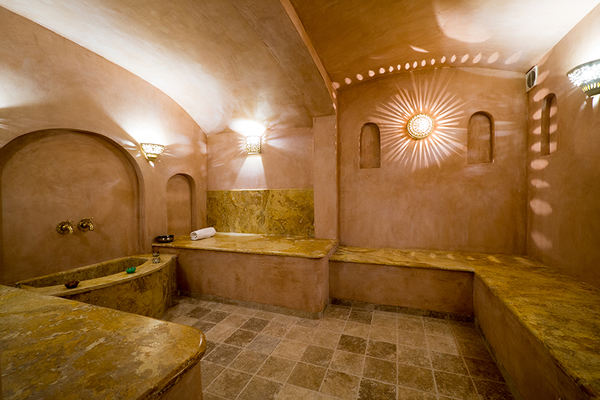 Then soak in the Turkish Hammam to courageously release any lingering limitations from the past. What would it be like to live in financial prosperity, joyfully share your gifts with the world, hopping out of bed in radiant health, singing your unique song? At this point in our journey, it’s time to align our inner and outer expression. Following the footsteps of wise elder women, Jewish and Arab, we’ll learn from their unique so that you can access and express your own confidence in the world at any time. You’ll meet extra-ordinarily wise feminine leader who has inspired me on my own personal and professional journey. Savta Gamila is Druze, a mystic people who believe in reincarnation. 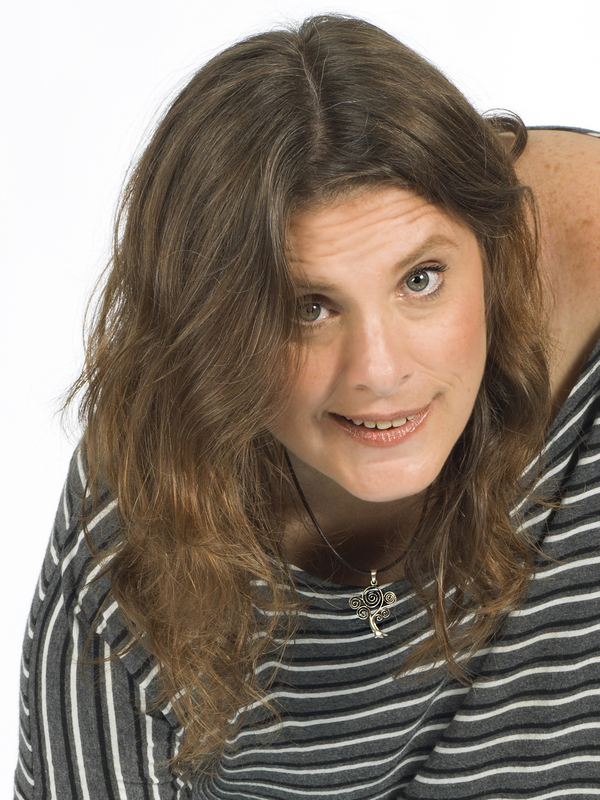 We’ll learn how this soap-maker became Israel’s most unlikely feminine pioneer. In Druze tradition, women are considered spiritually superior to men, yet they traditionally were kept in the home. Gamila secretly started a small soap business in her kitchen. Today it brings in $50 million in business worldwide. One particularly vulnerable day, Gamila told me: “Everyone who wants to open a new door has to pay a price. I have done that to open a door for other women.” If you’re ready to confidently stand in your power and share your unique gifts with the world… this feminine Galilee experience will be a game changer for you. If you have ever worried… “What will they say about me”, “It’s too dangerous to do it differently”, or “I can’t make a prosperous living – living true to my heart”, meeting Gamila, you’ll move past your fear of “not doing things right”. Best of all, you’ll return home with the courage to share your gifts freely with the world. We will make a pilgrimage to the rolling green hills of lower Galilee to my beloved home of Kiryat Tivon. We’ll visit the ancient oak grove, beloved to the entire community and imbibe the feminine energy residing underneath the craggly Galilee rocks. You’ll hear the feminine sound reverberating off the drum heads, connecting you to a deep sense of serenity within. We’ll visit the ancient catacombs of Beit Shearim and experience a profound, deeply healing and transformational ceremony in the Menorah caves. Enjoy lunch at one of the many cafes and fresh local stands in the town square. Connect to your inner wisdom while relaxing on one of the mosaic benches in the natural Galilee park. You’ll have ample time to make new friends with the locals who are only too happy to share their wisdom with you. You’ll enjoy the support of your new life-long friendships being strengthened through our evening sharing circle. We will discover the sacred art of Yementie mystic master artist, who as a child was requested to paint the palace for the King of Yemen. After coming to Israel, her husband forbade her to paint. It was a dreary existence, living in the projects, with no means to authentically express herself. 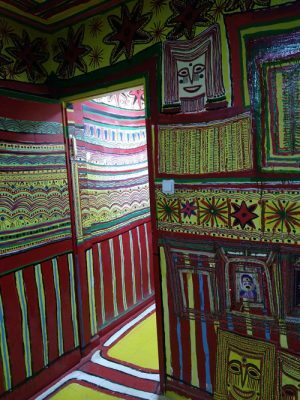 Yet after her grown children moved away and her husband died, at the age of 81, she began to paint the walls of their tenement home, transforming it into an magical palace of feminine mystical power. We will lunch at Café Maarag which lies in a special Arts Center at Kfar Vradim. 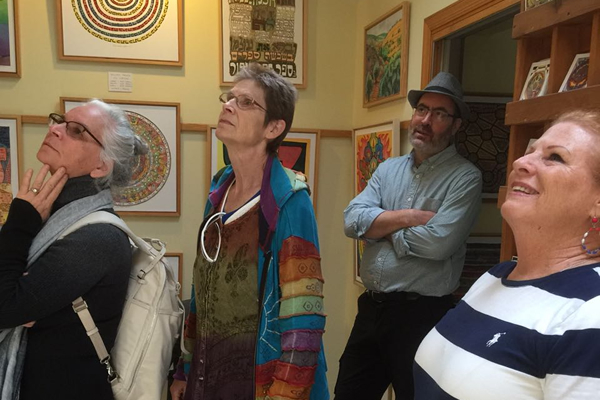 It incorporates Special Needs Artists in the community and serves as a focal point for creators and visitors. The beautiful complex overlooks a view stretching all the way to the Mediterranean Sea. We will hear about the founding woman’s vision to bringing healing arts and special needs community into the mainstream. Transported by the art, transformed through it, you release the bonds of past beliefs, traumas and limitations and open to the truth of your deepest being… After our deep immersion into the creative arts, we’ll review and experience a feminine power healing sound ritual to help you complete your Personal Feminine Power Map. Imagine the joy of being activated into your full feminine power, your voice fully heard as the empowered you. Best of all, you are sharing with friends of like mind and heart. These alchemical sound properties ignite the flames of passion and possibility. To where will they lead? Contemplate these questions as you rest following our closing banquet with hand made, locally sourced products and reconnect to the source of your well of wisdom. You’ll enjoy the support of your new life-long friendships being strengthened through our evening sharing circle. ACCO – HAIFA – TEL AVIV After our last breakfast, we’ll embark on a culmination ceremony – where you’ll rejoice in your newfound freedom. You’ll have opportunity to review the life changing events of the past ten days and contemplate the next steps on your journey to your own personal promised land. 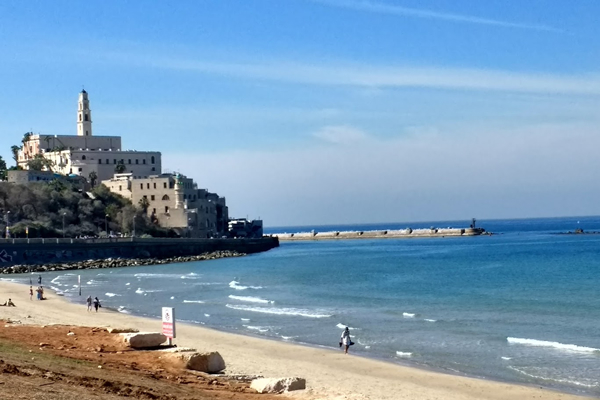 Rest, relax and pack, shop in the local souk, until you depart on the train and travel through Haifa and it’s beautiful Mediterranean shoreline, back down to Tel Aviv and your evening flight departures. Thirsty for Magic and Passion? Need to replenish your well – body, mind and soul in these topsy-turvy times? Heal the wounds that have hurt your heart? Replace your self doubt with clarity of purpose and what you are trying to achieve, being successful in getting what you want. Burnt out, from filling everyone else’s expectations but not your own? Above all, ready to live and lead through your truth and be supported for it? You know that you have to fill your well FIRST before you can support others with the quality and depth you KNOW you are capable of. Clarity, connections, your next move, and inspiration all manifest with ease in ancient Israel – as do tears, laughter, and hugs. Not to mention MAJOR alchemical transformation! You have no idea what might happen in Israel and who you’ll meet. Just imagine the quality of those relationships and the rich gifts you’ll attract into to your life and business in the coming months and years! This retreat is truly life (and business) changing. Imagine BEING fully in your power! Know your inner truth and speak it with confidence and ease so that others want MORE of what you have to offer. Live in the present, go with the flow and stop pushing the river that depletes your reserves, so you show up in the moment and respond for your highest good. Stop caring what other people think about you and go for what you want. Stay calm and centered, no matter what is going on around you. Have clarity about what to do next in your life and career and how to take action forward. 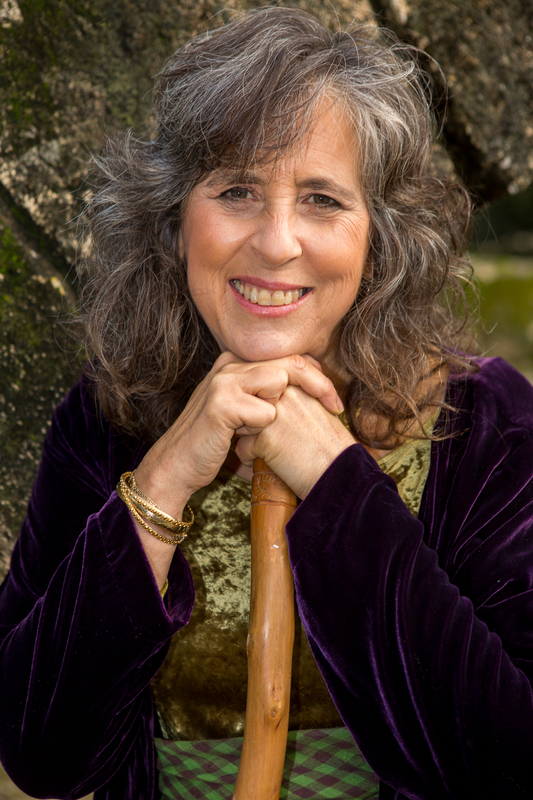 Deepen your embodiment of ancient feminine healing sound practices that increase your power and ability to lead your own music meditation processes – even or especially if you are a seasoned facilitator! The planet is calling for our powerful voices and presence to be seen and heard now, collectively and individually. This requires looking at fear, jealousy and judgments in the eye and dismantling them one by one with support and loving care. After all, your voice is the one making a difference. If you’ve been giving, giving, giving to others, but no one’s been giving to you, then this is the opportunity you’ve been waiting for to step outside your everyday routine and dive deep into your inner well of wisdom so you can return home replenished and ready to make a difference. So whether you just need to take a pause from the pressures of your profession, know it’s time to reassess your life, you’re drooling to doodle, dream or do nothing, and feel you’re on the precipice of a quantum leap forward, then time to yourself within the support of the group is guaranteed to free you soul and replenish your energy to do your creative work in the world. Together, we’ll be attracting in feminine forces far more powerful than us to create an indescribably mind shifting experience that goes beyond words and expands you into another paradigm altogether. But you’ll have to answer the call and say YES to join us and experience it. If your heart says YES, we NEED you to join us there! Ready to embody ancient feminine leadership by learning to teach other women how to voice their feminine power, and earn income doing it!?! If you’ve been on a personal, spiritual or recovery path for what seems like a bazillion years and ready to deepen your impact in the world, you’ll definitely want to join us! Imagine YOU’RE empowering other women, and you’re absolutely on fire, over the moon, doubly excited because you earned this… you deserve it! Take a moment to contemplate what thriving, growing, succeeding, playing BIG, all from a feminine foundation feels like! Go ahead, shout out loud…”KEN!” (Hebrew for “YES”!) Your inner voice will sing “TODAH” (Hebrew for “THANK YOU!”) with a silent note so profound, that it will send goosebumps right down your spine to the tips of your toes when you take advantage of the optional Feminine Leadership Mentor Certification extension. You’ll learn to teach powerful ancient feminine leadership system to empower women to be seen and heard. This venerable tradition expands personal and spiritual development as well. “HAKHEE MADHEEM” (Hebrew for “THE MOST AMAZING THING IS…), you will be trained where these traditions were actually practiced! Sense the sound of your voice reverberating off the walls of those secret ancient structures where you’ll be trained to guide others towards clarity and courage to be who they are. Quiet self-criticism so they can hear their inner guidance. Transform fear so they can be seen and heard. Transform anxiety into an attractive positive power. Feel confident no matter what is going on around them. Stay connected and centered in unpredictable change. Tap into a source of magnetic power to create from. Practicing the evidence based, Voices of Eden Ancient Healing Sound System. Training to teach this Ancient Feminine Leadership lineage. 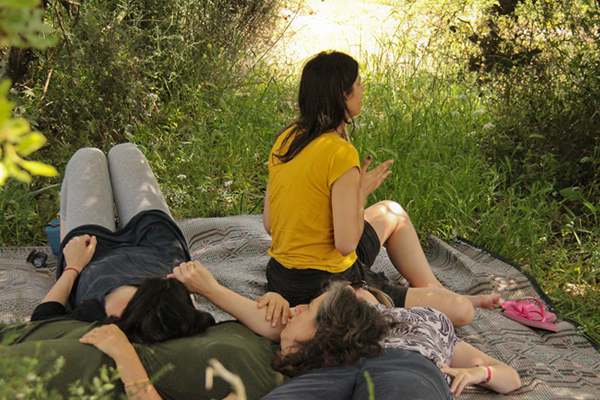 Embodying and learning to teach the Source Spot Meditation. 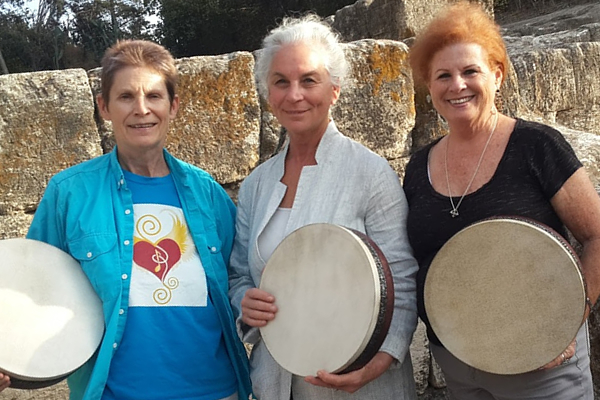 Singing into the frame drum for activating healing at a cellular level. Marketing Training: Includes a teacher’s manual with flyer, sales page and email templates, plus many ways to attract ideal clients. You need things to look and work a certain way and get upset if they don’t. You don’t know that YOU’RE the creator of your reality, and if something bothers you, the solution lies WITHIN, NOT blaming others or outside circumstances. You make excuses or get defensive when conflict or divergent beliefs confront you. You’d rather be right than happy. You’re influenced by others ideas and judgments about Israel. You’re not willing to take a leap of faith. You’re ready to LIVE and WORK in flow with your true power to make a your mark in the world. You’re tired of leading alone. You’ve been hiding your spiritual prowess under wraps to succeed in the workplace. You’re ready to align your inner truth with your outer one to make a difference. You want to be part of a group, and are willing to be vulnerable cuz you know it’s a strength, NOT a weakness. You feel excited and nervous about this retreat. 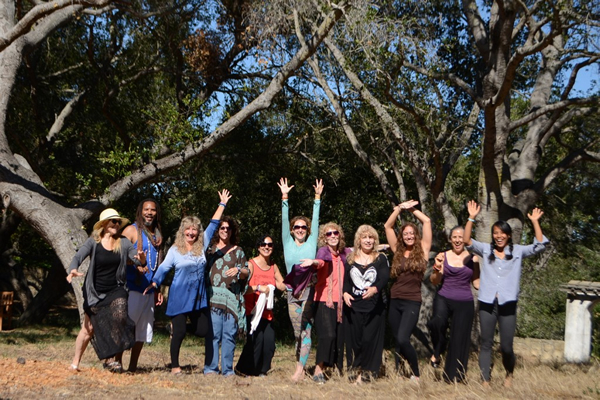 10 solid days of ancient wisdom and feminine leadership training, music meditations and ceremonies + lots of succulent sharing and deep conversation all week! Inspirational meeting with Savta Gamila: Druze culture, sustainable business through creativity and ancient feminine wisdom traditions. Souvenirs and shopping (leave some space in your carpet bag or purchase an extra one) ☺. Your money supports the artists. Site entrances – not listed. BONUSIM MADHIMEEM – AMAZING BONUSES! Click on each of the FOUR TABS and REVEAL YOUR SPECIAL PRIZES! Frame Drum personally hand crafted for you in ancient biblical style. You’ll receive a personal drum – hand made for you to use in our special healing ceremonies and back home. Each of these unique hand-made drums have been made possible by a private Israeli-Palestinian artisan initiative. Visit to my home and healing music center. You’ll be part of history (herstory) 🙂 as we make pilgrimage to the sacred oak grove in my neighborhood in celebration of ancient feminine leadership coming full circle, through our physical presence. I’ll bring you to my home and how this modest modern home and ancient healing music center was built, reviving an ancient tradition, replete with 3000 year old shards and biblical drums embedded in it’s concrete foundations. We’ll have a community gathering in my home town, so you can experience a community of conscious everyday peace leaders. A Clarity Call – 20 minutes of 1:1 time with Eliana so she can get to know you personally and best support you on your journey. When I was 8, I received a gift of Hebrew music. The mesmerizing voice on the record transfixed me for hours upon end as I doodled in my journal and learned by heart, all the words sung in this ancient tongue. In Israel at 13, a wise woman encouraged me to sing my heart in earnest. 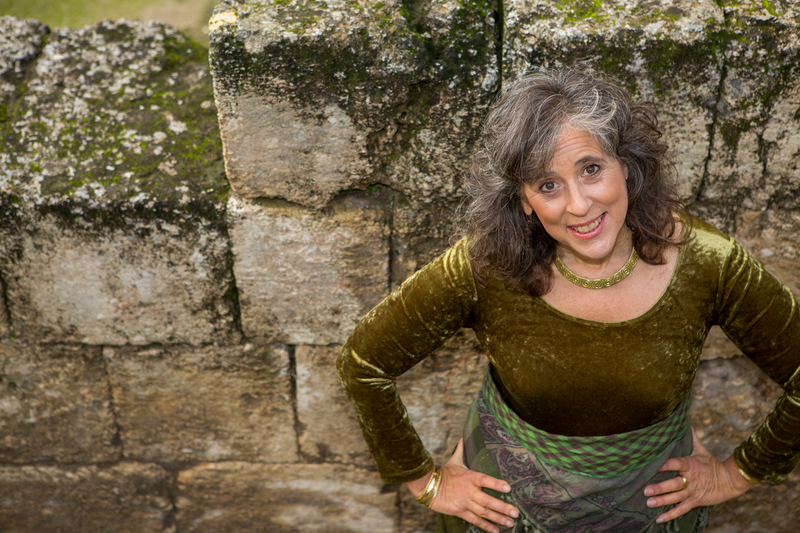 After receiving my degree in Near Eastern studies, with 13 years of singing and dancing to these ancient rhythms under my belt, I planned a move to Israel. My father’s sudden death the night before my departure, ignited my conscious spiritual journey which led to my learning to listen for direction from within. The 80’s recession showed the writing on the wall. When laid off from my 6-figure corporate job, I chose to leave the US and apply the spiritual teachings learned through self-inquiry. My family and friends thought I was nuts. They said I was doing a “geographic” … “you take yourself with you where-ever you go”, implying that I was running away from responsibility. That hurt. It made me doubt my truth. Though through deeper inquiry, it gave me the gift of clarity. Though I had no idea where I was going, what I would do, I was confident that I was going TOWARDS something. Gratefully I had the courage to follow that voice. In France I broadcast voice-overs on CBS for the Olympic Games, then sang on the inner-city trains of Paris, my main “training” for developing this healing music modality. For the past 25 years I have devoted my life to share the feminine leadership way of ancient Israel, where I have lived for 20+ years. For years, I could not share my vulnerable side, because others would see it as a weakness, when actually, it was a sign of strength and courage. The only way I could truly be myself and nurture this ancient feminine power, was privately. At times, it has been a lonely road. Yet solitude helped me hear and trust the guidance of that still small voice within. It has been my best friend and ally. It guided me to found – Voices of Eden, a living experiment in creating Eden on earth, one authentic voice at a time. This journey is intended – to help unconventional professional women connect to their feminine power and trust their authentic voice so they can confidently and creatively express it in the world for maximum health, wealth and well-being. One of the most important skills that I have developed living in Israel, has been living with uncertainty. This is the major #1 skill that has enabled me to work and play in creative flow, in a way that makes my heart sing peacefully (even in the midst of war). This is why today, I love composing and presenting personalized healing music, particularly in the ancient healing sites – as it revives this wisdom and ancient feminine power for our modern use today. It is the reason I lead private immersion trainings, retreats and sacred wisdom journeys to this ancient land. All of these things have happened as a result of trusting and my following the guidance of my inner voice (especially when it made NO sense)… Every voice makes a difference. When you trust and act upon yours.. it’ll lead you to wonderful places. Sharon Stone features Eliana in the award-winning documentary Femme. Recently Eliana was nominated for Los Angelos Mayor Garcetti’s Small Business Award for Innovation. Eliana has presented at the UN, TEDx, on-stage with Bobby McFerrin and with thought leaders Neale Donald Walsch, Michael Beckwith, and many more. In 2001, during the mid-east crises, Eliana initiated a ground-breaking medical research project in a 50/50% Israeli-Palestinian hospital – a project that has been featured in the worldwide press from CBS, BBC, to the Hindustan Times. Is going to Israel safe? There is no war going on in Israel now. It is safe to visit. Israel is NOT Iraq, not Iran, not even close, and it’s THE bastion of democracy in the Middle East. Though I have lived peacefully in Israel for over twenty-two years, WITH Jews, Christians and Muslim – Israelis and Palestinians, INCLUDING during wars… others have expressed their fear and concerns about my visiting and living there known. Others responses generally have to do with what they have seen or read in the media. Security is a highly attuned craft in Israel – it’s usually out of sight. The job of commercial media is to sell fear and drama. Advertisers push a lot of product this way. Statistically the number of people killed in traffic accidents in Israel is greater than the number of people killed in war – during the entire existence of the modern state of Israel. For reference: The United States has 10xs the number of murders per day than Israel – yet this does not prevent us from traveling to American cities. If I would have reacted to what others told me about visiting or living in Israel, I never would have moved there. One of the main goals of this Feminine Leadership Retreat is to move you PAST your fears and giving away your power to others. Imagine what your life will be like when fear no longer prevents you from acting upon what your inner voice guides you to do. When people actually arrive in Israel they are usually SO pleasantly surprised by the safety they feel. We will be an intimate group of maximum eight to ten people. This is intentional for me to be able to spend maximum amount of intimate time with you as well as to allow for our group to really get to know one another and to work together. Can we be in touch before we go? Yes! Before our journey, we will have one preparation call and we’ll also meet for a preparatory retreat Immersion training call before we gather in person in Israel. 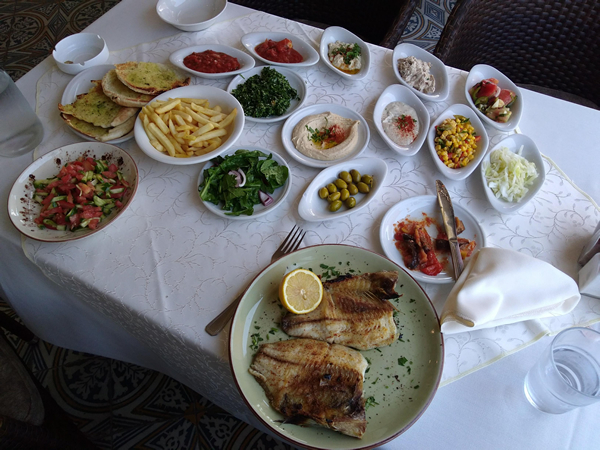 Israeli food is based upon a Mediterranean diet. It is on the whole, very healthy with lots of fresh fruits and vegetables. Alot less processed food than North America (for example). If you’ve got particular dietary restrictions, please let us know and we’ll do our utmost to have your needs met. Can you help me share a room? Yes. We are happy to pair you with a roommate whom you’ll have a chance to get to know better before the trip in our FB group, along with the other women as well. Prices are based upon double twin occupancy. 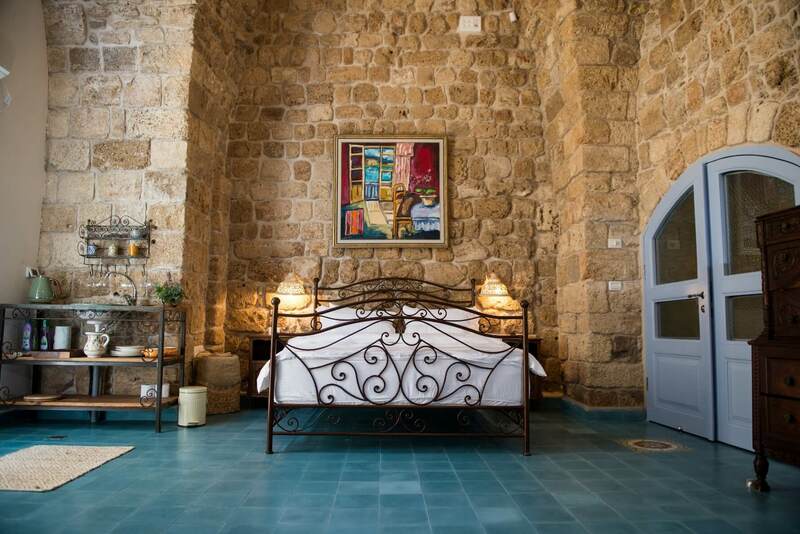 The luxury inns in Safed and Acco are ancient structures – based upon communal living – as was practiced in ancient times. They are one of a kind, hand crafted places with a limited number of rooms. Some suites include living room, kitchen and yard. These places have been chosen because: 1) They are social enterprises, they support green living, and they include the local community into their business. 2) Their structure supports our group living together. Think, pajama party, with ample room to have your own space. The number of people in each room will be determined upon final group size and room count. We’ll do our best to accommodate you. Should there be an uneven number of people, you will be charged the difference of the single rate. Yes. We like Travelers Insurance which have a variety of plans. As long as you can walk at a moderate pace for AN hour, you’ll be fine. We spend time in nature, such as when we visit the ancient oak grove and in the ancient sites. 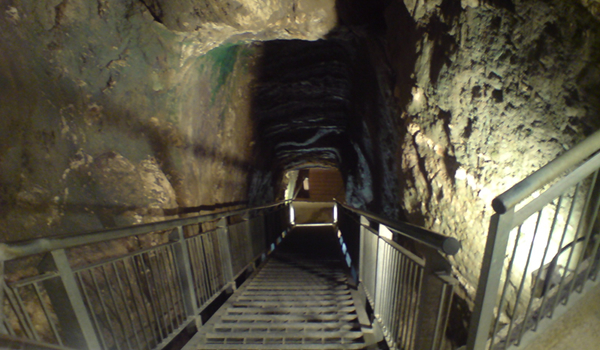 At Megiddo, we’ll be descending 250 stairs into the belly of the earth. If at any time you do not feel comfortable or able to participate in an activity, you are welcome to take it slow and opt out. Rest assured, you do not have to participate in every activity to receive the full benefit of the journey! You can stay as long as you like! If you’re coming this far, and can stay, it’s DEFINITELY WORTH IT! Email me and we’ll get you set up! Ales, our travel director – can help you with reservations and travel accomodations. Payment of your deposit, through the site, will secure your space. Our travel director, Ales Struna – Ales@journeysofthespirit.com – will handling all registrations, reservations, and travel (unless you’d like to make your own flight arrangements). Ales will send you our authorization form to fill out which is all done online. He can also help you find a great deal on flights. There are some really great deals right now – so it’s worth reserving asap. Investment amounts for both the Israel Retreat and the Optional Feminine Mentor Training Extension are on the registration page. We have payment options as well. Contact: info@voicesofeden.com to set up a time to speak and come up with a plan that meets your needs. What to bring or not bring? Good walking shoes, broken in. Not Brand New!!! Attire in Israel is informal. In Holy sites – women cover their arms, so bring a scarf or cover up. The weather in May in Israel is mild and warm. It’s a great time of year! Best advice is to pack layers! Sometimes air conditioning can be cold. Internet is pretty much everywhere and free. Though I’d suggest you consider leaving your computer at home so you can have a full fledged IMMERSION into the ancient world. Cameras, selfie sticks, whatever makes you tick is fine! Backpack to carry your gear on the excursions to the ancient sites. A great adventurous spirit! This is going to be a journey of a lifetime! 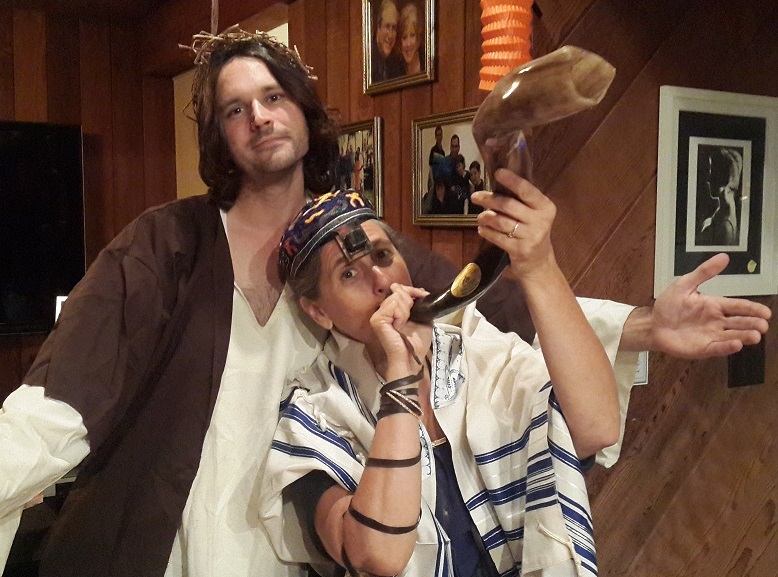 Israelis are known for their gracious hospitality, their love of authenticity, spontaneity, creativity and their spirituality. Don’t let media hype stop you from experiencing your feminine power. * Disclaimer: Be prepared for change of itinerary and plans – this is the nature of life in Israel. If you need to have things followed through, exactly as planned, then this is definitely NOT an appropriate retreat journey for you. A big part of the magic in Israel – is the dynamic nature of it. Plans are made as a jumping off point – we flow from there. Accommodations are planned in locations noted or comparable places. I am ready for Israel!